You'll find comfort and modern luxury at one of the most convenient locations in Medicine Hat. Lodge at our hotel, and you'll be located just off the Trans-Canada Highway 1, across from the Medicine Hat Mall and only minutes from local attractions and restaurants.We invite you to enjoy our hotel in Medicine Hat where you can relax in an indoor pool, water slide (Limited hours) and whirlpool. You can expect the best service and amenities from our accommodations, the best among local hotels. In Medicine Hat, you'll be able to visit great attractions like the Saamis Teepee. The Casino by Vanshaw, Medicine Hat Mall and Medicine Hat Family Leisure Centre are also located near the Holiday Inn Express® Medicine Hat. Hotels in the area can't compete with our great value and convenient location. Business travelers can find convenience and comfort in Medicine Hat, Alberta. Other hotels can't match the services of our Business Centre, which includes copy, fax and print services. The Holiday Inn Express® & Suites Medicine Hat has four meeting rooms and presentation equipment, such as DVD players, VCRs and flip charts, for your convenience. 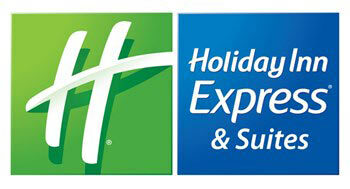 Looking for hotels in Medicine Hat? Look no further than our hotel in Medicine Hat. Lodge with us and you can wake up every morning to our free Express Start breakfast bar. You'll also have complimentary access to our fitness centre and business centre.